Hi, curious to know if some people are may be interested in collaborating in the south bay area (I am in San Jose). I have a pretty ambitious robotics idea, so before I really start tackling it with hardware just seeing if others may be interested in collaboration. 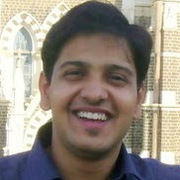 Hi Andrey, Shreyas Upasane this side from India. We have a startup in India which is working in electronics and hardware field also has experience in robotics. Can you drop me an email at shreyas@gravityinnovate.com. We can discuss further about your idea. Thanks! Cheers.